3D is a wonderful art that is challenging and fun. A lot of people who want to do art now can with a little help from technology. Now not only do we have to understand artwork we have compounded it with technology. Remember the artist creates art not the tools he uses. With this technology comes complexity. Using a 3D program requires many different skills from being a gaffer to being a sculptor. With that in mind let's take a look at creating the well seen sky dome. Note: If you already have modeler open save any work you have done! 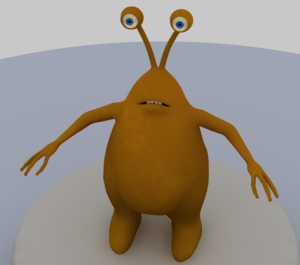 Since this is a Lightwave site I will explain how to accomplish this using Lightwave. Open up modeler and create a ball that is 1 KM in dimension (May need to change size based on the model you want to put into a clay render). Flip your polygons so they are facing inwards (press f). Now change the surface name to "Dome" by pressing the q key. Some people delete half the globe but you can leave them and add the floor. You might be able to save some render time by deleting half so experiment and find out what works best for you. Now then let us add the floor. Click on layer 2 and also put layer 1 in the background. There you go all the modeling is done save this file as "soft_lights.lwo", remember where you save this file. Now we need to send this to layout and setup the textures and we are ready to go. Close modeler and open layout (Lightwave). In a new scene add the soft_lights.lwo. 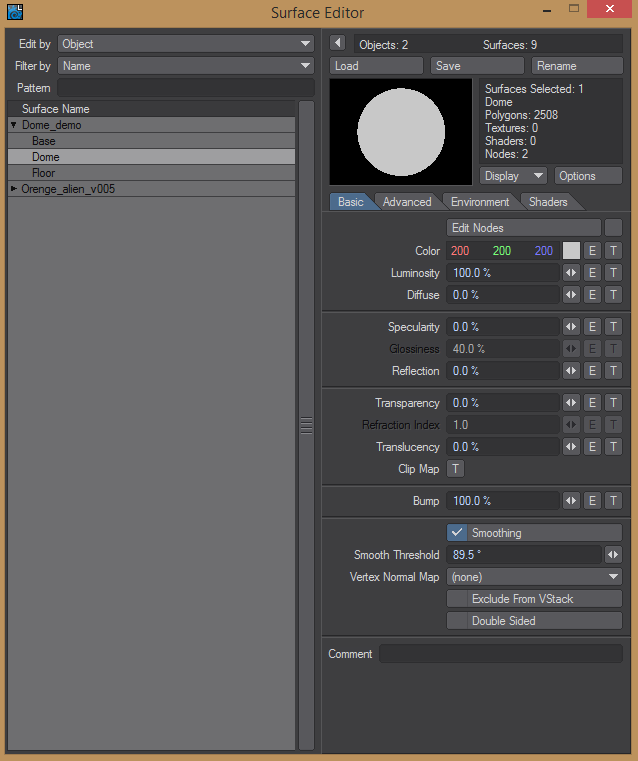 Open the surface editor and click on the Dome surface. Change your surface setting to match. 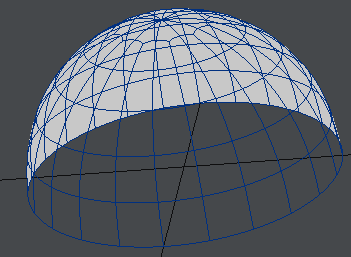 Now all you need to do is add an object in the center of this globe and render. Just note render times go up because of radiosity is being used. This was really a factor with older versions of Lightwave and computers but today my old work PC was able to render a GI dome in a 5-10 seconds.